The U.S. Census Bureau reported on five of the top counties where residents of Bergen County were most likely to have moved from and to over a one-year period between 2007 and 2011. Among Bergen residents, 24,870 persons, or 2.7 percent, lived in a different county one year earlier. Among the counties they were most likely to have come from were: Hudson, Passaic, New York (NY), Queens (NY), and Essex Counties. 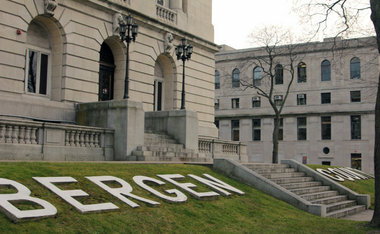 Among the 37,067 persons who moved away from Bergen during the course of the year, among their most common destinations were Passaic, Hudson, New York (NY), Middlesex, and Essex Counties. Among people with a graduate or professional degree, five of the largest inflows to Bergen County were from Hudson, New York (NY), Queens (NY), Middlesex, and Essex Counties. Five of the largest outflows were to New York (NY), Hudson, Middlesex, Passaic, and Morris Counties.